Planning how you will evaluate your fatherhood program is arguably just as important as all of the other steps we've discussed in my 6 previous blogs on creating a successful fatherhood program. Evaluations allow you to get the best results, and correct your course if something is not working. An evaluation is like a GPS – it tells you whether you’re headed in the right direction and helps you to correct your course if necessary. There are many ways you can evaluate a program; it's up to you (or your funder) to determine how you will measure the impact of your program on the dads you serve. Read on to learn about different types of evaluations and resources to help you decide how you will evaluate your program. Being passionate about serving fathers is great, but you will need to prove that your investment in dads is working - so that you can make the case for your program to continue. Are you retaining the dads who are coming to class? Is the program proving to have a positive impact? Are the dads enjoying what is being taught? Are the dads learning the key points and objectives laid out for each session? Evaluations are critically important for program credibility, accountability, improvement, sharing of best practices, and to prove to funders that their dollars were well spent. 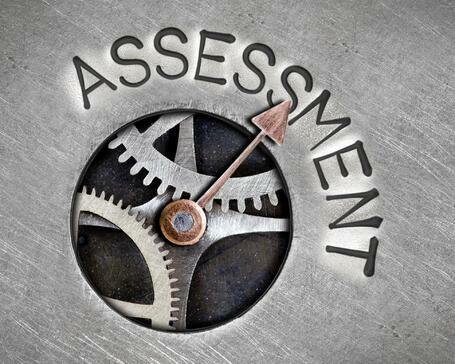 You don’t need a complicated design to effectively evaluate your program. To help you with this step, NFI includes evaluation tools (via surveys) with many of our fatherhood programs such as 24/7 Dad® and InsideOut Dad®. Qualitative measures often include open­‐ended questions asking respondents to describe their experience, beliefs, or views about a topic. For example, evaluators could ask fathers to describe if, how, and to what extent their relationship with their children has changed since attending the fatherhood program. Quantitative measures are statistics driven and may include questions or items that ask fathers to rate or rank some aspect of behavior, attitudes, or beliefs. For example, fathers may be asked to rate how important their role as a father is to them compared with other roles. There are also quantitative measures that ask fathers to count the frequency of a behavior, such as the number of days per month they had contact with children. In addition, there are quantitative observational measures, where an observer may count the number of times that the father engages in a child-­‐related behavior such as praising the child. There are advantages and disadvantages to using each type of measure described above. Qualitative measures are useful for obtaining a deeper understanding of a topic such as why fathers were able to increase their involvement with children. Another advantage is that fathers are able to describe an experience in their own words without having the evaluator decide in advance which experiences are important to focus on. A disadvantage of qualitative measures is that it is more difficult to compare the answers given by different individuals. One father may say he is much happier with his access and visitation arrangement following his participation in the program. If another father says that things are better today than they were, is this an equally positive response? An advantage of quantitative measures is that they allow the evaluator to calculate how much change has occurred in some target behavior, attitude, or belief over a specified period of time. For example, the evaluator may want to determine whether participation in the fatherhood program was associated with increased contact with children. The best measurement approach would be to ask fathers (or mothers or children) how often the father had contact (e.g., face to face, telephone) with the child over a specified time period. Quantitative measures may be single questions, or a series of questions, that measure varying aspects of the same general variable. For example, in measuring contact, the researcher may want to use a series of questions that get at the total amount of time spent with the child, the type of contact (such as overnights or supervised visits), or the regularity of contact. Here's to your program success! As always, please let us know if we can be of any assistance to you as you build your fatherhood program. 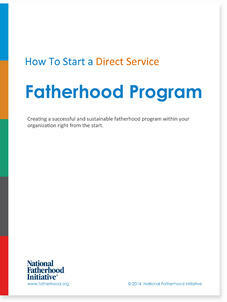 Download the full eBook How to Start a Direct Service Fatherhood Program for free!